Happy Halloween everyone! I always end up going to the pumpkin patch too late when the field is no longer completely covered by pumpkins and only the yucky ones are left! 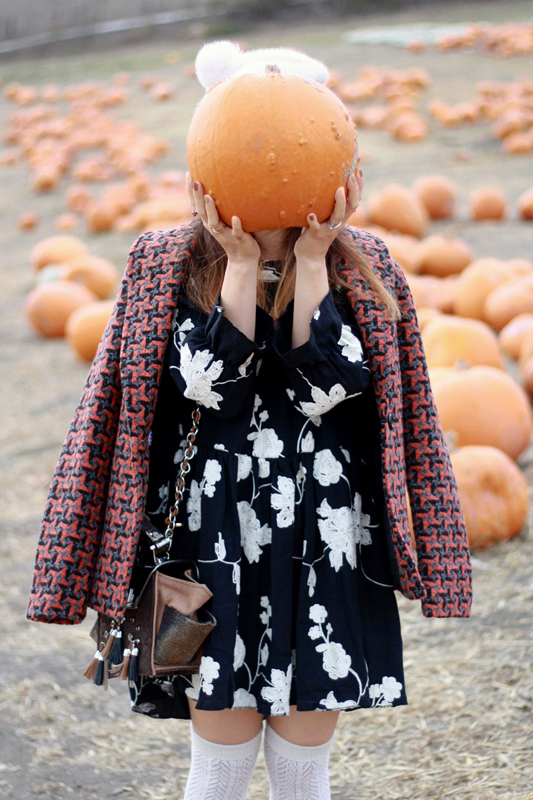 Better late than never though because I need my obligatory pumpkin patch photos! 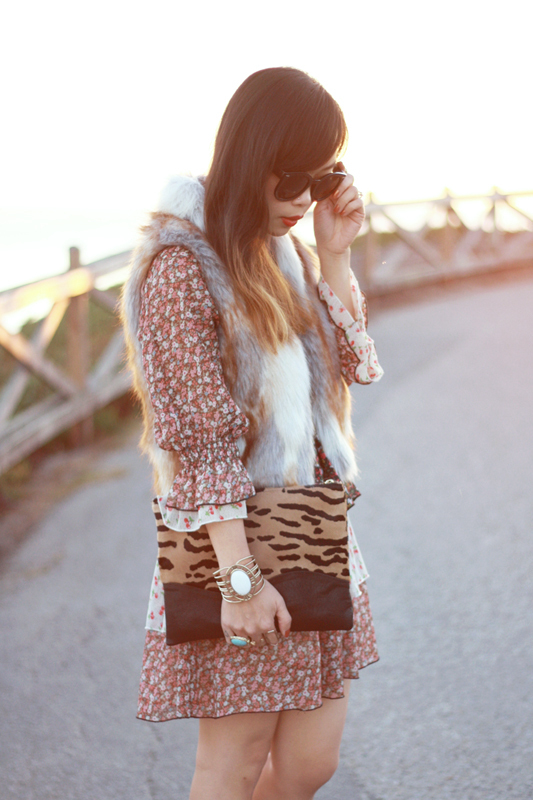 I wore an embroidered floral dress from Romwe with a lovely houndstooth coat by Alice's Pig. You can never go wrong with houndstooth and I love this unusual combination of orange and charcoal. I accessorized with the most incredible purse ever by Helena+Troy. This charmed tassel mini lunchbox is some serious business, perfectly structured and made with sting ray leather! My oh my! 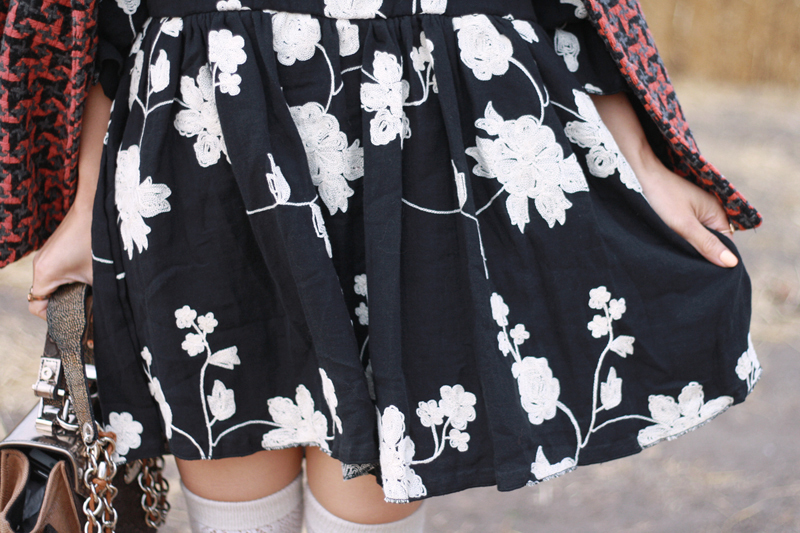 Embroidered floral dress c/o Romwe. 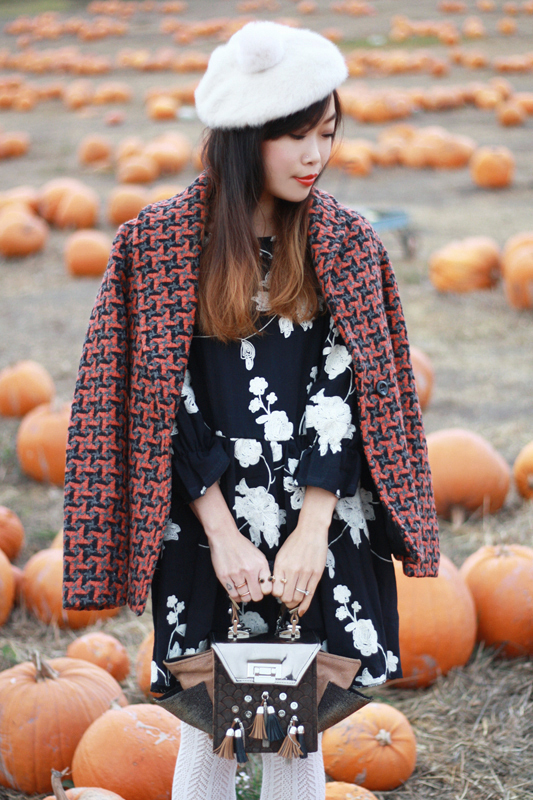 Houndstooth coat c/o Alice's Pig. Charmed tassel mini lunchbox by Helena+Troy. Rabbit fur pom pom beret from Japan. Glitter bow loafers by Dolce Vita. What happens when you combine ultra soft leopard faux fur with translucent irregular scale-like pieces? 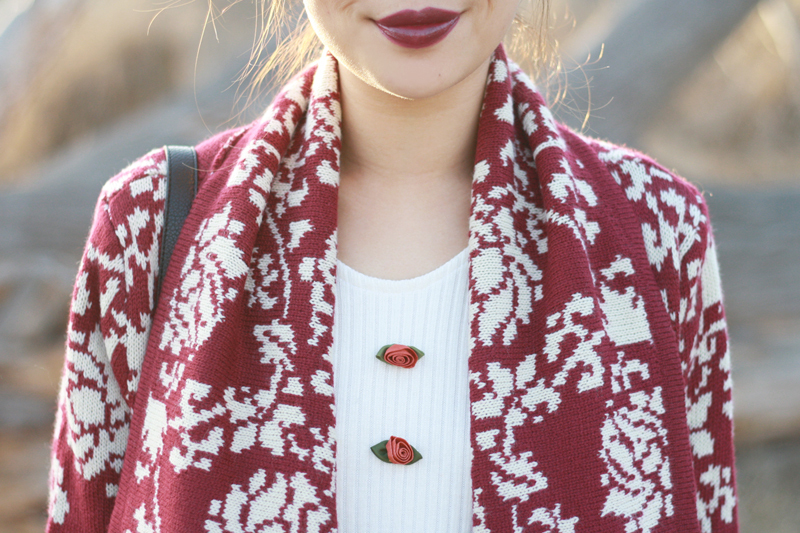 You get the best of the both world and this awesome pullover! I have never seen anything it, it is simply so cool. 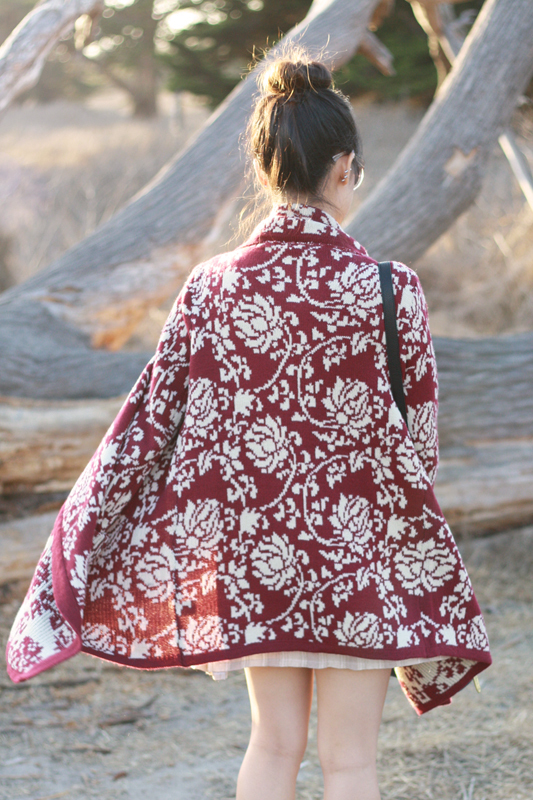 This pullover by Red 23 is perfect for any occasion, you can dress it up or down, but mostly important it allows you to stay cozy while having that showstopping factor. 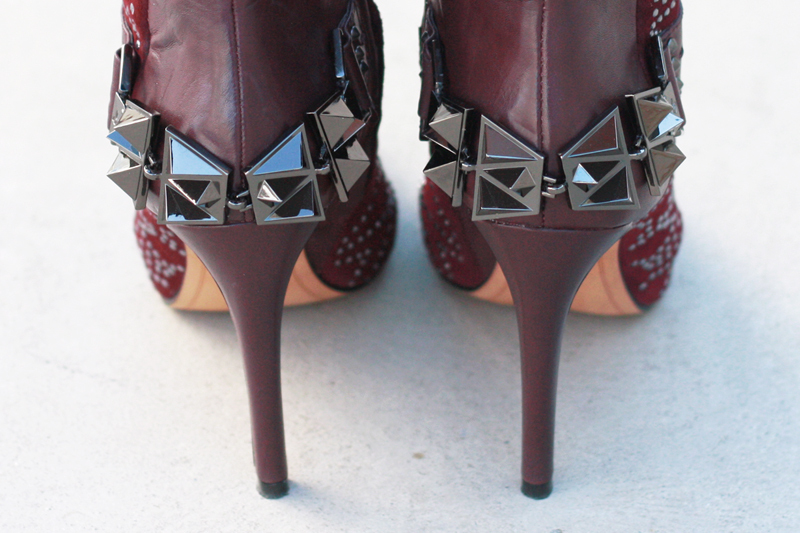 I kept the look simple and paired it with a black asymmetrical skort, strappy croc leather booties, and white satchel. 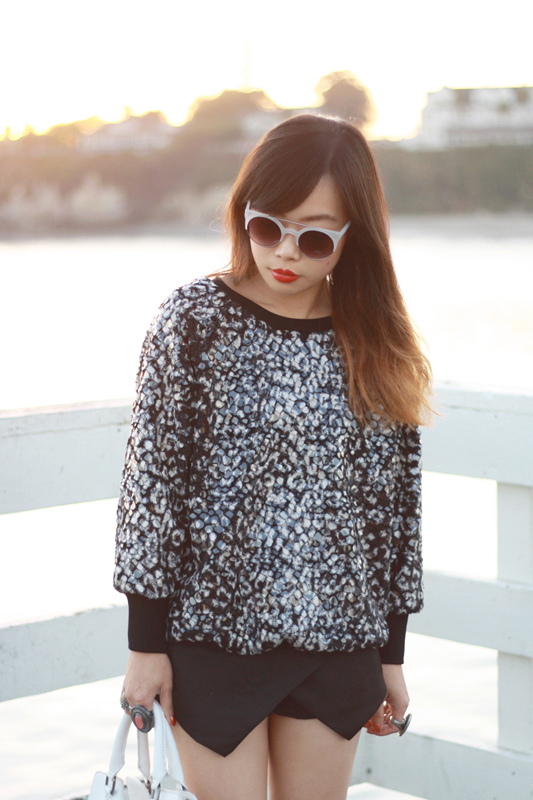 Faux fur leopard pullover c/o Red 23. 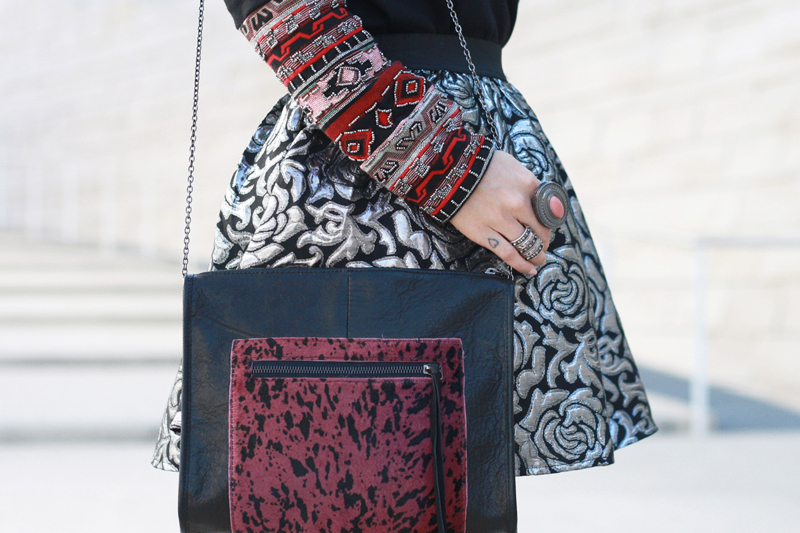 Black asymmetrical skort c/o Red N Bold. 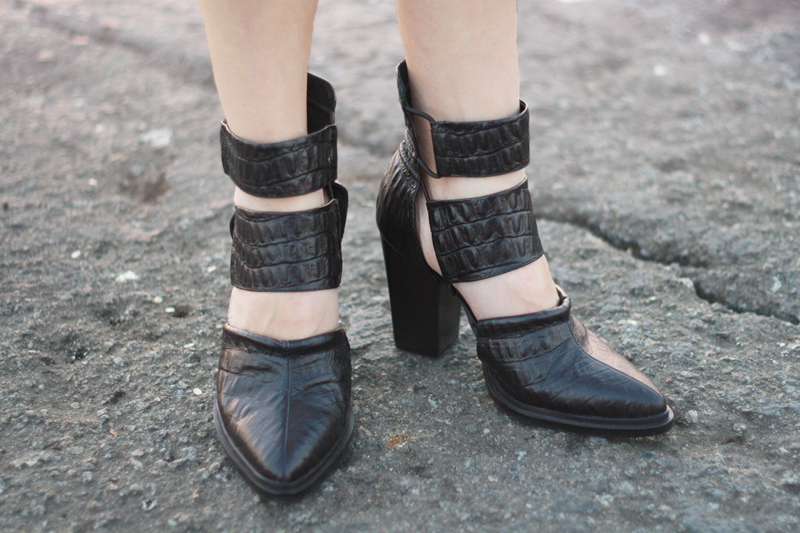 Strappy croc leather booties c/o Choies. White satchel bag c/o Handbag Heaven. 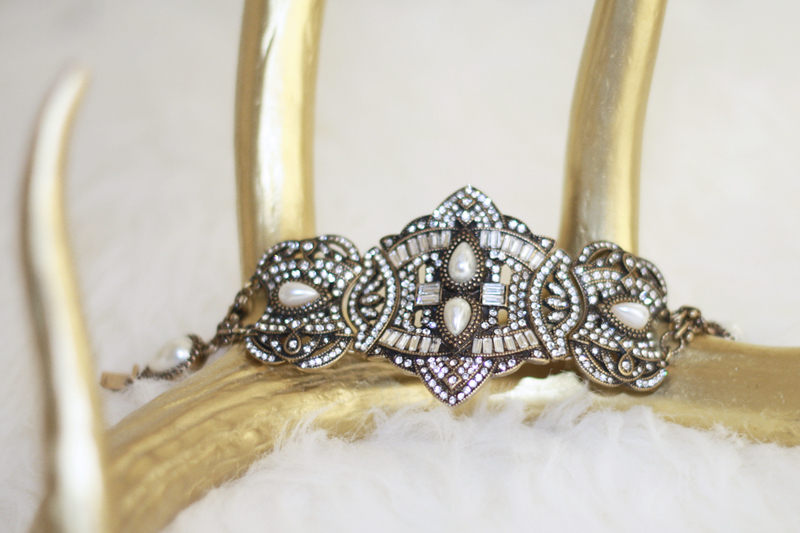 If you are a frequent reader of my blog, you would know I love wearing jewelry. 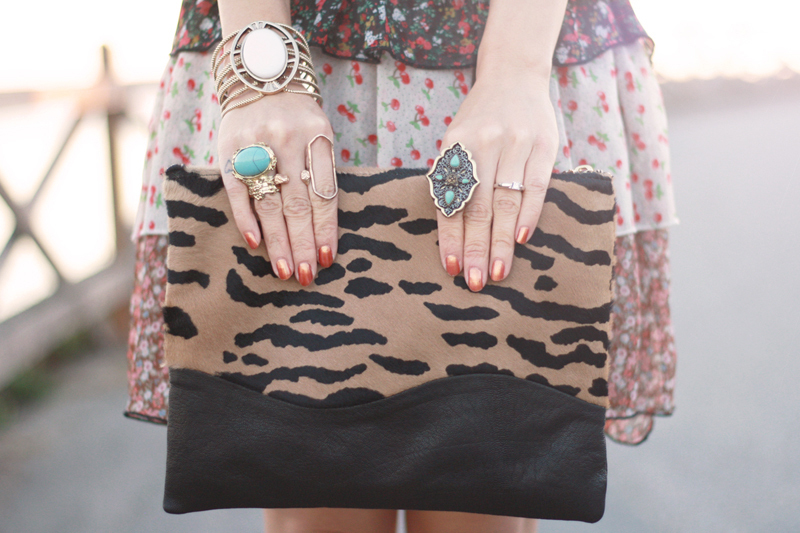 There isn't a time when I put together an outfit or go out without having any rings on my fingers. It just doesn't feel right. It is actually quite funny because 10 years ago I was the complete opposite! 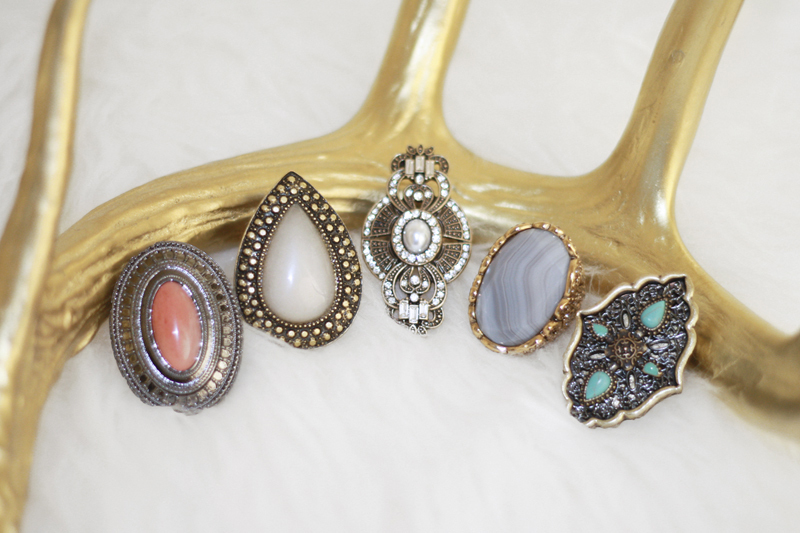 If I wore rings, I would always end up taking them off. As I get older, I learn to only acquire things that I truly want, things that I know will last and things that I know I will wear again and again. Same goes with jewelry. Quality is definitely better than quantity. 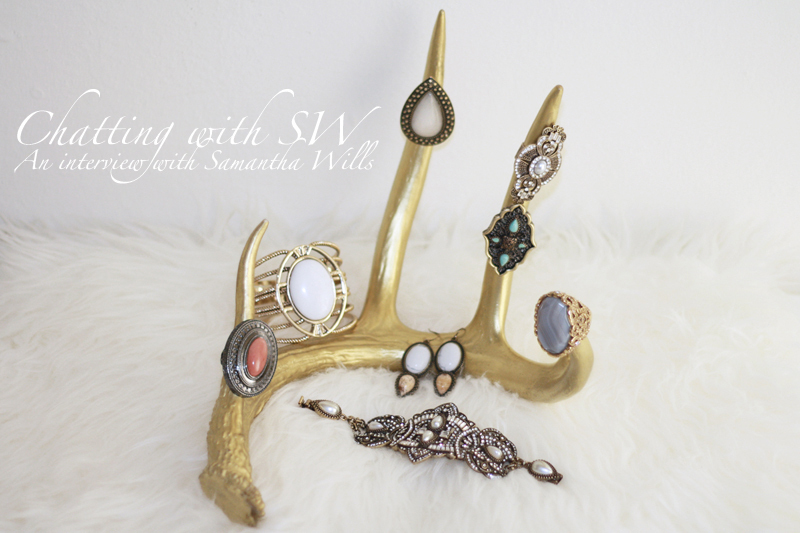 One of my favorite jewelry designers is Samantha Wills. 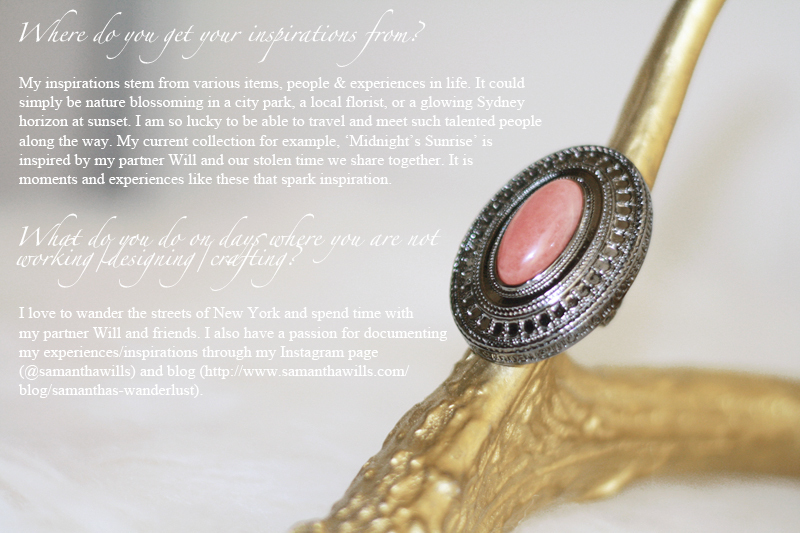 This jewelry siren (Samantha herself is stunning and often models her own design) who calls both Sydney and New York homes is taking the world by storm. It has been a real pleasure working with the wonderful SW team and what an honor to be able to interview Samantha herself! 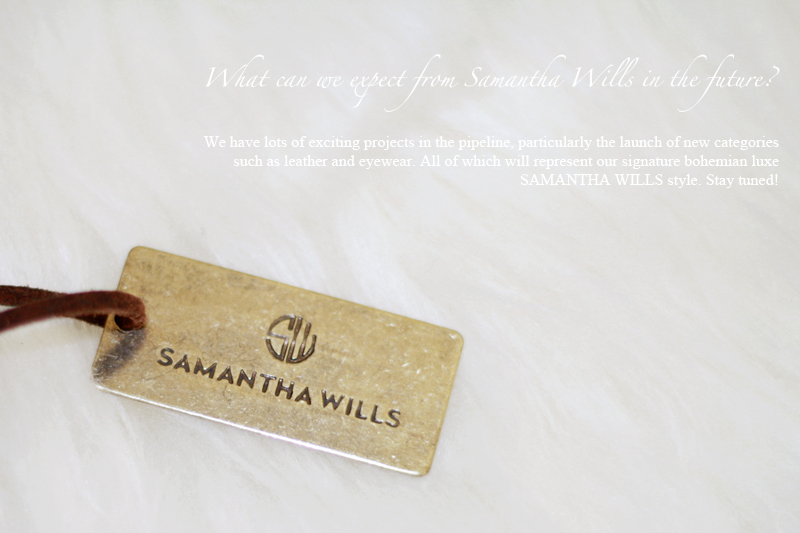 All the images seen here are taken by me of my personal Samantha Wills collection. 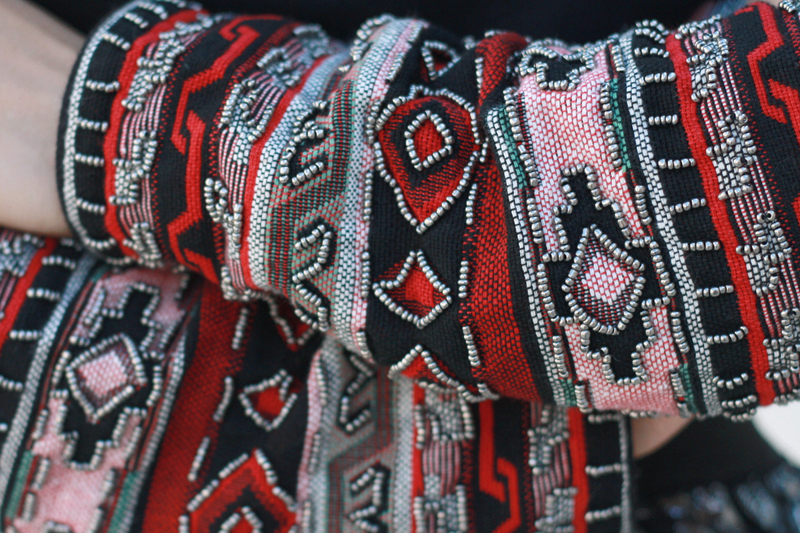 Specific details of each piece are listed at the end of this post. I also want to thank West Walnut for the beautiful gold deer antler. 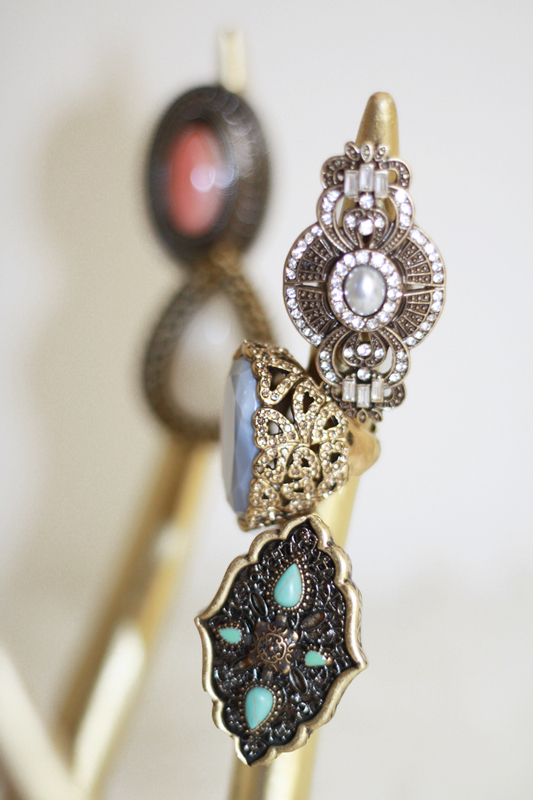 I love this piece whether it is just sitting on my coffee table on its own or when it is displayed with jewelry. If you love rustic with a touch of glam (gold), check out West Walnut for some amazing home decor and get 10% off with my promo code "TOSHIKO10". Now, read on and enjoy the interview!